On a Saturday or Sunday morning, it’s such a delight to slow down the pace a little. Putzing a bit in the kitchen, and then savoring an extra cup of coffee or tea, with a plate of tender, lofty, lemony cakes is one sure way to do it. Maybe a game of Scrabble with your honey, and you’re home free. 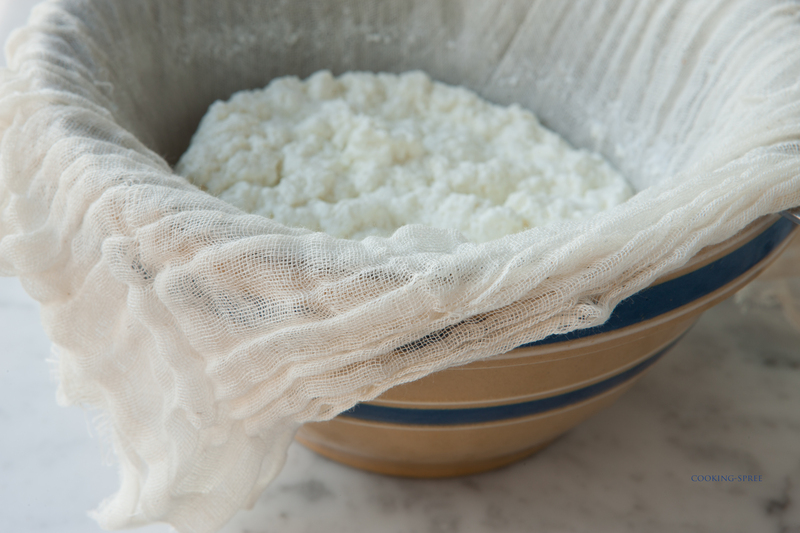 Not all (and maybe not many) will want to go the extra step of making their own ricotta, but I promise, it’s only slightly more complicated than boiling milk. If you want to give it a try, I’ve included some instructions that you can access by clicking on the “CONTINUED…” link below. But using a good quality store-bought ricotta will do just fine. The photos here show these cakes virtually unadorned, and they’re simply, delicately delicious that way. 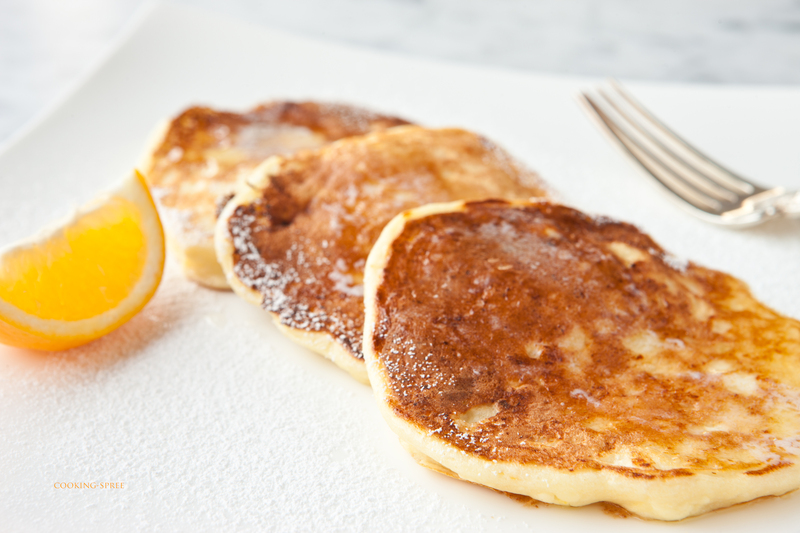 (A pat of soft butter, a good squeeze of lemon, a dusting of powdered sugar. A fork.) But you can also serve them with a Blueberry Sauce (recipe below) or a berry syrup, or (can we possibly wait?) heaping spoons of slightly sweetened and sliced Oregon strawberries (I’m sorry – they’re simply the best on earth.) I enjoy maple syrup, but it’s not what I’d put with these. They’re much better complimented by fruit. You’ll see. The batter: Separate the eggs, putting the yolks into a medium-size bowl, and the whites into a small one. Whisk the whites until frothy. (It’s not necessary to form peaks of them, but do get them white and full of air.) Mix the egg yolks with the ricotta cheese, milk, lemon juice and vanilla extract. In a separate small bowl sift together the flour, salt, and baking soda. Stir in the lemon zest. Mix the wet and dry ingredients until just blended. (Don’t over-mix or your tender little cakes will turn tough and mean.) Then gently fold in the frothy whites until blended. Griddle: Spoon out the batter onto your greased griddle. It’s best for these if you keep the size small – say, around 3 inches diameter. You may find it works best if you spoon out a little and spread it slightly so that it’s not too very thick. (Around 1/4″ inch or so.) That way, they’ll be golden brown outside and cooked fully inside. Do a test run of several cakes to see if you’re happy, and then go to town! Like all pancakes, they’re of course best straight from the griddle, but you can keep a stack of them warm in your oven under a towel for a short time without harm. Serve: As I mentioned above, they’re perfectly flavored to my taste with just a little more lemon juice, some melting butter and a dusting of powdered sugar. But the Blueberry Lemon Sauce here is a very nice accompaniment too! Come summer though, these cakes will lose top-billing to the strawberries that will gorgeously smother them. for a printer-friendly version of the pancakes, click here. Put the water, lemon juice and sugar into a small saucepan and stir until the sugar dissolves. Add the frozen blueberries and simmer for 5 to 7 minutes. Add fresh blueberries and lemon zest and simmer for about another 3 minutes. Serve warm. for a printer-friendly version of the blueberry sauce, click here. To make about 2 cups of fresh ricotta, you’ll need quite a bit of milk. This is so easy, it’s nearly embarrassing. Line the strainer with a triple layer of cheesecloth, and then suspend it over the bowl. Put the regular milk into a large heavy-bottomed pot over medium-high heat. Stir fairly often to keep the milk from scorching. When the milk comes to a gentle boil, add the buttermilk, all at once, and stir constantly until the mixture separates into its curds and whey. This will only take a minute or so. (The liquid will have a soft lemony color, and the curds will look like cooked egg whites.) Sprinkle with a large pinch of salt. Pour the contents of your pot over the strainer. If the level of the liquid reaches up into the strainer, then empty that liquid out, and continue pouring until all the curds are in the strainer suspended above any whey. Within about 15 minutes you should have a ricotta ready to use. (Though a lot of fresh cheese-making proceeds in much the same way, the cheesecloth is gathered up and wrung so that all liquid leaves the cheese. That’s not what you want here, so no wringing or squeezing and don’t let it get too dry. I’ve made those mistakes for you.) Overturn it into a covered container and keep refrigerated. 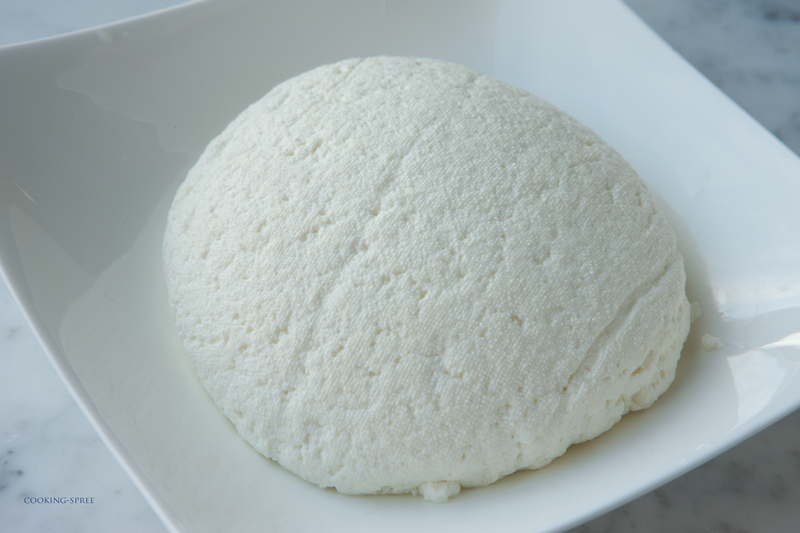 for a printer-friendly version of recipe for ricotta, click here. Oh wow, these look so amazing! Oh, they are! Thanks Rufus for stopping by! LOVE these! The perfect breakfast birthday treat for Spree and her little Sprouts!